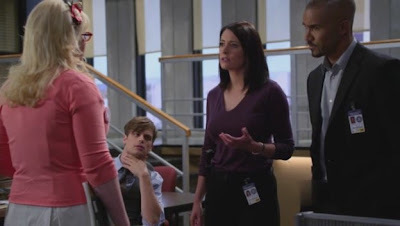 CRIMINAL MINDS SPOILER THREAD FOR "25 TO LIFE"
Criminal Minds spoiler thread for "25 to Life" written by Erica Messer and starring Joe Mantegna, Thomas Gibson, Paget Brewster, Shemar Moore, Matthew Gray Gubler and Kirsten Vangsness. 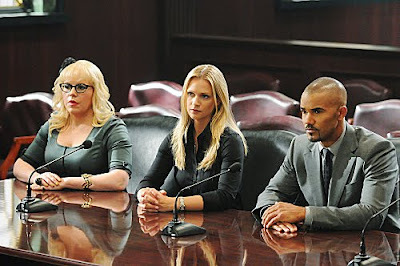 “Hope” – It’s personal for Garcia when the BAU investigate the disappearance of a woman in her survivors’ support group whose daughter went missing seven years earlier, on CRIMINAL MINDS, Wednesday, Nov. 16 (9:00-10:00 PM, ET/PT) on the CBS Television Network. Guest stars include Jack Coleman (“Heroes”) as Bill, a man in Garcia’s survivors support group, and Brigid Brannagh (“Army Wives”) as Monica, Garcia’s missing friend. “From Childhood’s Hour” — The BAU team investigates the abductions of young children with troubled mothers in St. Louis. 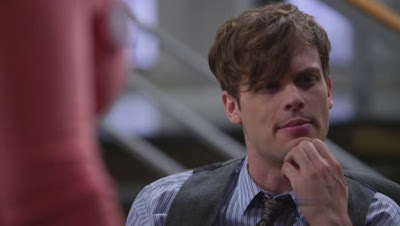 Also, Rossi reconnects with his first wife who has shocking news for him, on CRIMINAL MINDS, Wednesday, Oct. 19 (9:00-10:00 PM, ET/PT) on the CBS Television Network. 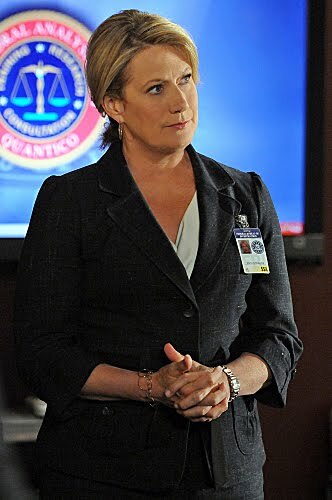 Isabella Hoffman (“JAG,” “Homicide: Life on the Street”) guest stars as Rossi’s ex-wife, Carolyn. Additional guest stars include Emmy Award winner Heather Tom (“The Young and the Restless,” “The Bold and the Beautiful”) as young mother Connie, and Annie Fitzgerald (“True Blood”) as troubled mother Marlene Smith. Picture in this post ©CBS. In addition to its comedy success, CBS has a flair for the dramatic. The Network scored the top 10 dramas on television in viewers and four of the top five in adults 18-49, according to Nielsen live plus same day ratings for the week ended Oct. 16. Picture in this post ©CBS - episode "From Childhood's Hour"
I apologize and kindly ask you to send me an email to criminal-minds(at)sindee.de. 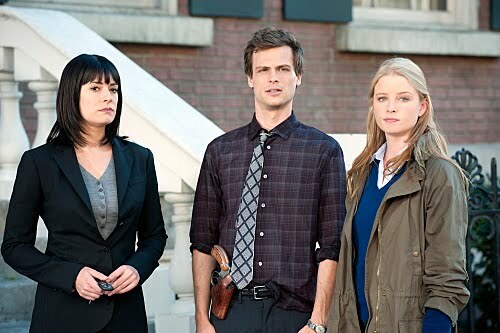 “Painless” – Survivors of a Boise high school massacre return to remember the event 10 years later, but the BAU team is called in when a new killer with a similar style targets the survivors. 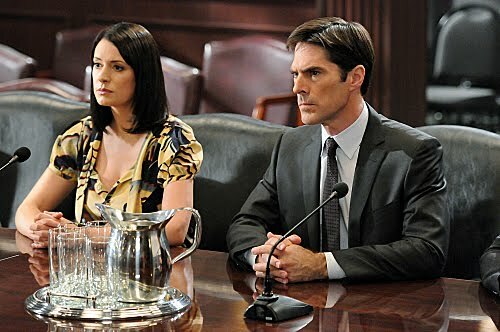 Also, Hotch is worried that his son, Jack, may be a victim of school bullying, on CRIMINAL MINDS, Wednesday, Oct. 12 (9:00-10:00 PM, ET/PT) on the CBS Television Network. What do you think about the episode ?? 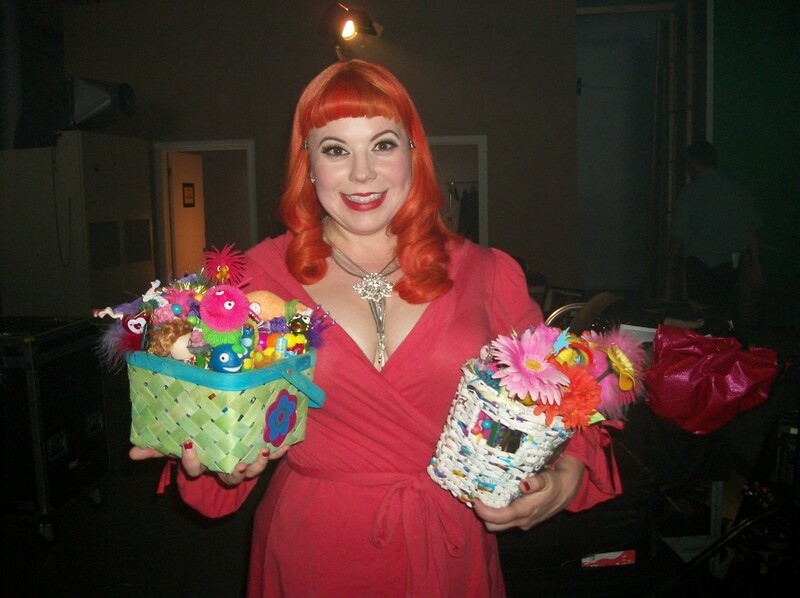 From "Criminal Minds" Kirsten Vangsness also visits. Plus, "Survivor" star Parvati Shallow joins us. 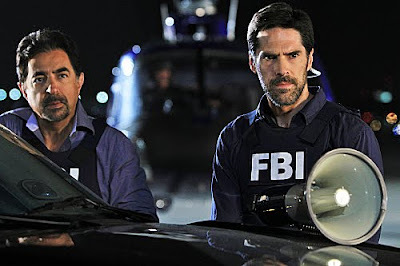 Photo: MONTY BRINTON/CBS ©2011 CBS BROADCASTING INC. All Rights Reserved. "Dorado Falls" - The BAU team investigates a mass murder at an Internet security company in Charlottesville, Va., but clues reveal it is not a typical serial killer at work. Also, Prentiss must complete recertification training under Morgan's watchful eye, on CRIMINAL MINDS, Wednesday, Oct. 5 (9:00-10:00 PM, ET/PT) on the CBS Television Network. Max Martini ("The Unit") guest stars as Navy veteran Luke Dolan. "It Takes a Village" - The BAU team is at a crossroads as they are questioned by a Senate Committee for their retaliatory actions in the wake of Prentiss' loss, but an unexpected familiar face could help them win their case and keep the team together, on the seventh season premiere of CRIMINAL MINDS, Wednesday, Sept. 21 (9:00-10:00 PM, ET/PT) on the CBS Television Network. Paget Brewster returns as Emily Prentiss and A.J. 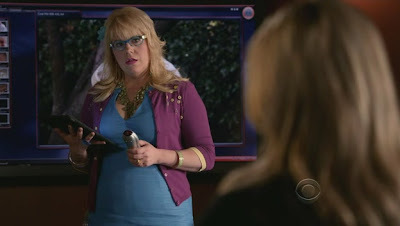 Cook returns as Jennifer "JJ" Jareau. Mark Moses ("Desperate Housewives," "Mad Men") guest stars as Cramer, a member of the Senate committee interrogating the BAU. 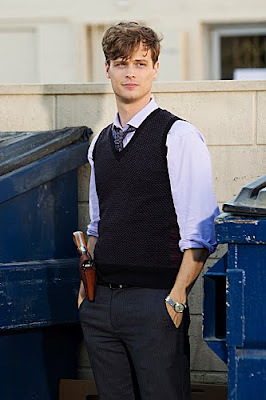 Photo: Michael Yarish/CBS ©2011 CBS Broadcasting, Inc. All Rights Reserved. CRIMINAL MINDS FANATIC BLOG HAS A NEW OWNER! 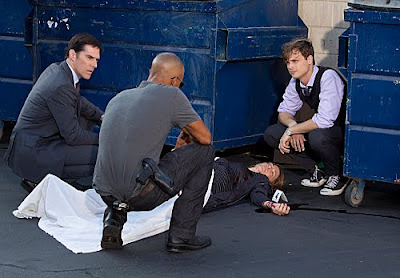 Criminal Minds: Denise H. aka Sindee, a good friend and a long time Criminal Minds Fanatic moderator, is now running this blog. 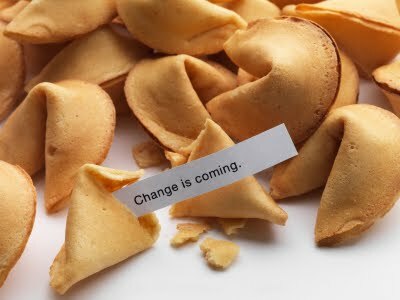 Thank you to everyone for their support the past six years. I have complete confidence that in giving the blog to Sindee I am leaving it in very good hands!